If you read my extremely ambitious list of goals for the year you’ll probably not be surprised to hear that I’m already falling way behind with most of them. 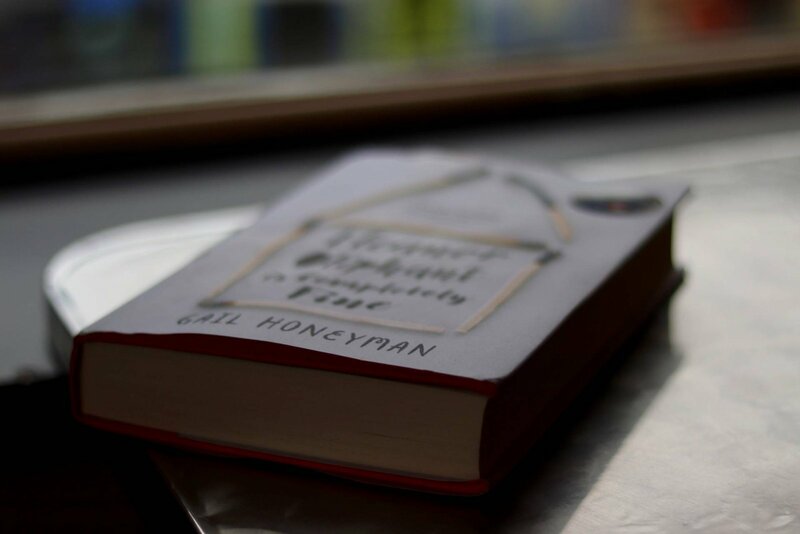 Best laid plans… One aspect I have been able to ‘stick’ with is my intention to read more. So far this year I’ve read Nobody Told Me by Hollie McNish, I’m halfway through The Power and I just finished Eleanor Olpihant is Completely Fine. Part of the reason I’ve managed to stay on track is thanks to the Mumsnet book club. I just signed up last week so throughout 2018 you can expect to read book review from me on a monthly basis, at least. Hooray for accountability! I hope you’ll forgive me, my copy is a little battered, it’s been to four countries in the past week so I think that’s a fair excuse. If you’re already someone who loves to read Eleanor Olpihant is Completely Fine won’t have slipped under your radar. It was heavily praised on Goodreads and most newspapers, is set to become a film produced by Reese Witherspoon and saw author Gail Honeyman win the Costa first book award. For me, it was one of many books on the ‘must read’ list. I don’t think I read a single book in 2017 which is just shameful and something I hope never to repeat. It is hard to find the time with a toddler around but I won’t make excuses any more, I love to read so I shall. Eleanor Oliphant is a 30-year-old single woman working as a finance administrator in a design firm. She has no family and no friends. 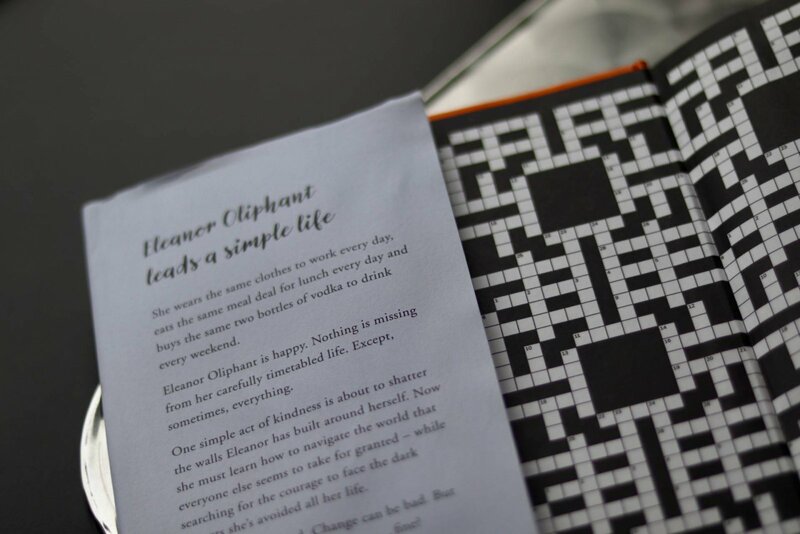 Her life is guided by routine: lunchtimes doing the crossword puzzle and eating supermarket sandwiches, evenings in front of the TV, and weekends spent at home drinking cheap vodka. 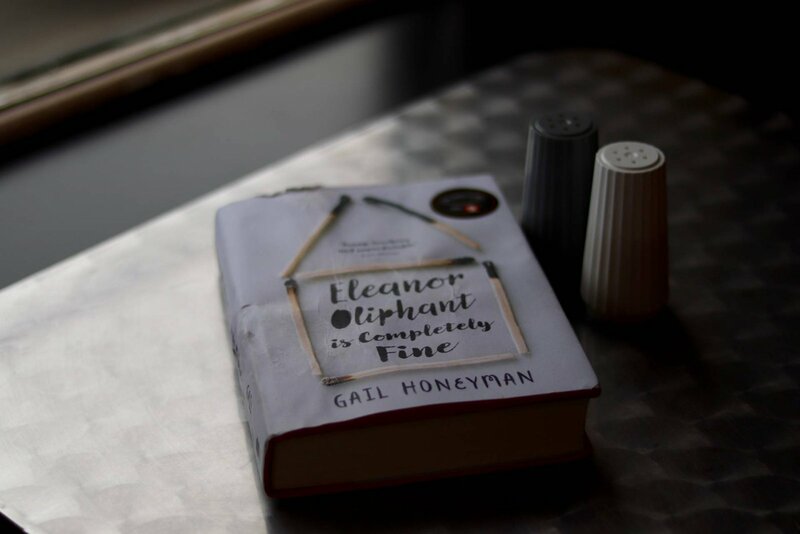 Eleanor Olpihant is Completely Fine is dark, mysterious, extremely funny and engaging. 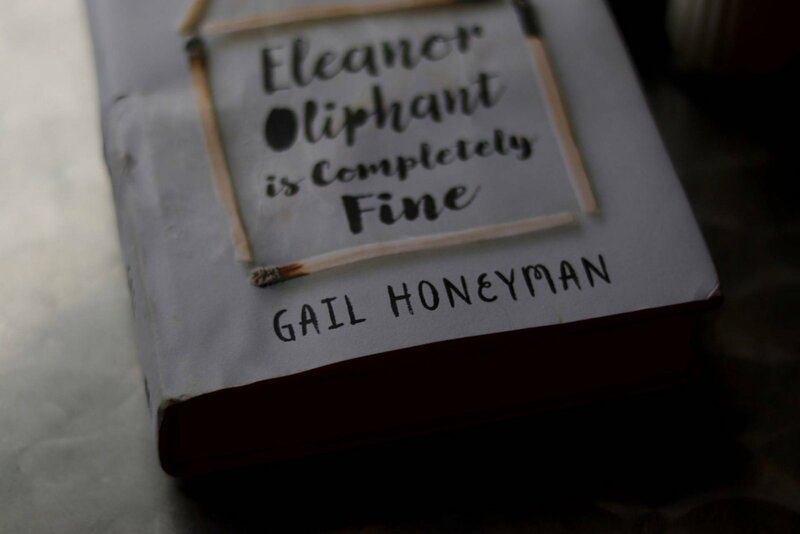 It made me smile to think that Eleanor is, on the surface, such an unremarkable person who no one really notices yet her story and the quirky way she views the world see Miss Olpihant grab the reader by the shoulders and stare you right in the eye. I couldn’t get enough of her hilarious interpretations of the world and her heartbreaking past. 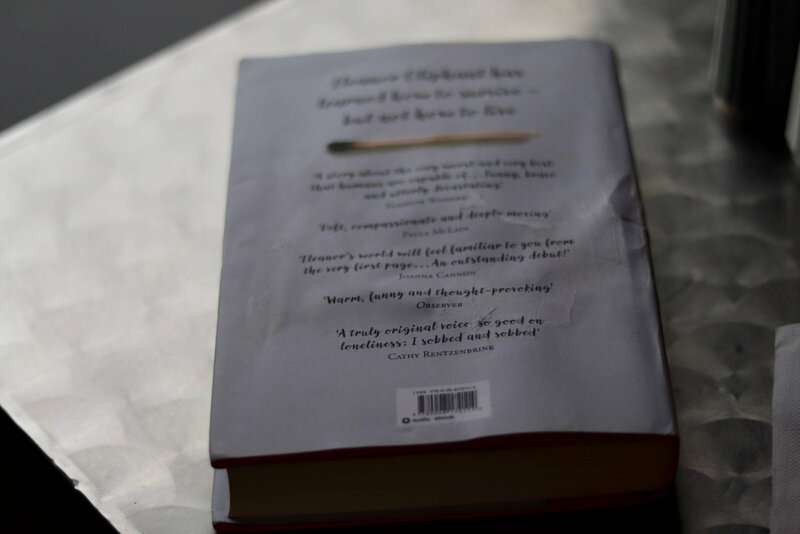 The novel centres around a time in her life when Eleanor developed a crush on a stranger which quickly spiralled into an obsession with self improvement in a bid to prepare herself for their inevitable love story. 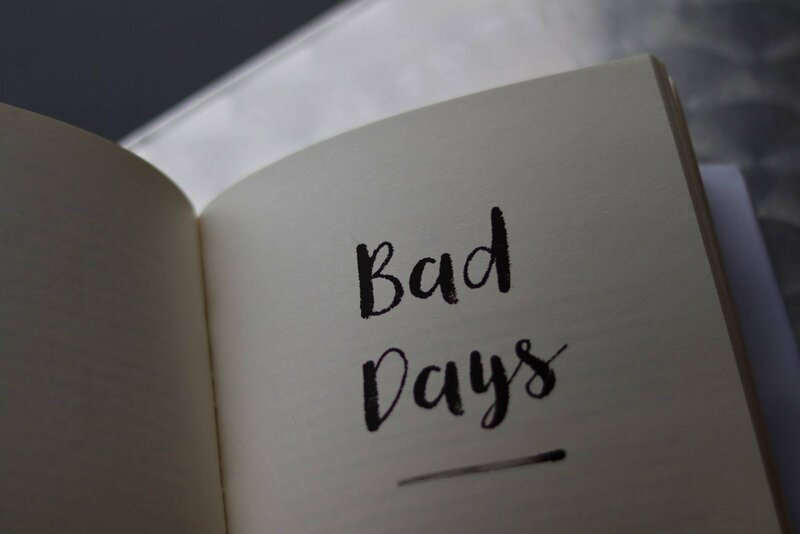 As this storyline unfolds Eleanor also develops a selection of other friendships with a real motley crew who teach her an awful lot about life, love and herself. A lot of the things Eleanor says and the way she interacts with people are so rude you almost physically cringe reading it but at the same time, she is just so charming. Maybe it’s because I have a toddler at home but something about Eleanors blunt and sometimes simplistic take on things feels very childlike and innocent to me. 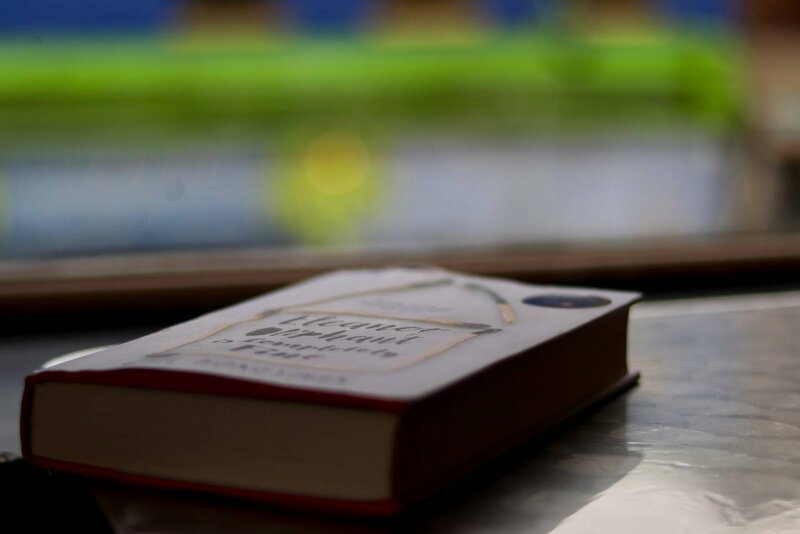 One of the integral themes of the book is loneliness, as you read it and get to know the principle characters I think it becomes clear that all of them are lonely in their own way. It’s almost like a spectrum of misery actually, I think Honeyman is holding up a mirror to society with that one. I really can’t fault the book, I enjoyed it immensely and found it to be totally engaging. As the story unfolded I did start to panic that there would be a romantic twist involving Eleanor and Raymond but thankfully I was spared that horror. I finished the whole thing inside three days and would thoroughly reccomend it.